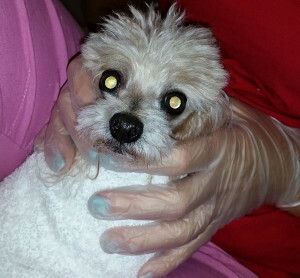 First, our holistic veterinarian examines your pet and qualifies him/her to be a good candidate for this procedure. Next, one of our skilled animal hygienists will begin the dental procedure in our mobile veterinary unit. Your pet will be sitting in our lap while we use comforting words & tone, and clean their teeth using the same kind of dental scaler our human dentists use. We then polish with specialized human grade dental pumice that contains a proprietary all-natural ingredient discouraging the growth of disease-causing microorganisms! Our dental package includes scaling, polishing, a gingival treatment after the procedure, and a bottle of Dental ORME. This contains unique natural ingredients which will kill the bad bacteria that cause disease in the mouth, boost the immune system, bind up & eliminate toxins, and help to heal the gum line. Dental ORME kills the disease-causing bacteria that is specific to the mouth, and will not harm the beneficial bacteria that live in the gut!! Our highly qualified Doctors and Hygienists will perform a dental exam on your pet without anesthesia. Using a hand scaler, we remove the tartar and plaque above and below the gumline. We then use a human grade pumice to polish afterwards. 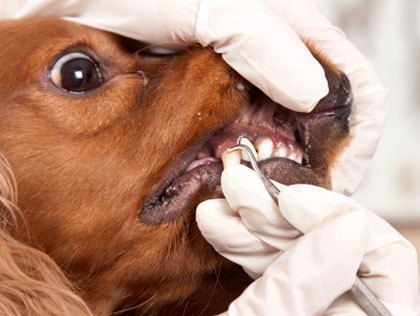 During the examination we will chart abnormalities or concerns regarding your pet’s oral health, and give recommendations as to follow-up therapies and at home care. At Natural Veterinary Services, we provide anesthesia-free dental care to dogs and cats under the supervision of licensed veterinarians throughout the state of Florida. We are the #1 Non-Anesthetic Dental provider in Florida offering Veterinarians and Pet Owners the experience and expertise that is second to none. Thank you for taking the time to visit our website and to gaze into the future of preventative dental care for dogs and cats. You now have an alternative to the traditional anesthetic dental procedure. We encourage you to find out if your pet is a candidate today by clicking the start button above and viewing the limitations of non-anesthesia dental cleaning for dogs and cats. Let us help you find a location near you that provides our service. You can now set up an appointment for our 11-Step Non-Anesthetic Dental procedure online, and will provide you with a safe, warm environment necessary to provide the best health care possible for your loved one. 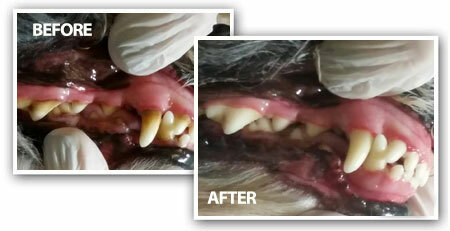 Natural Veterinary Services FL is excited to provide you with this high quality preventative means to help in the fight against dental disease in your dog or cat, so let’s begin today.